print out a PDF copy of these one page zines that are highlights of the art I made in the month of October 2018. 10 2018 Sketchbook and Inktober 2018. Follow these directions for how to properly fold and cut this zine. 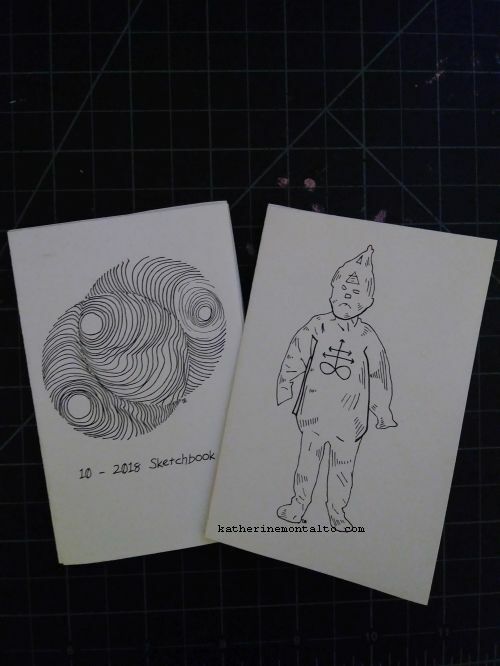 Here is a slideshow of the whole 10 2018 sketchbook and all of the Inktober images.